I finished my Wonderland quilt top! I really love this line. I've made a quilt from this line before (about a year ago I think). When I finished that quilt I thought I was done with this line and sold all I had left. Then, a few months ago, I got a hankering for some Wonderland and found a Flickr friend who sweetly sold me her jelly roll. It measures about 62"x70"
I used a second jelly roll of Kona Snow and a quarter square ruler to make these double hourglass blocks. I don't even square them up after I get them all sewn because there are so many bias edges it's easy to stretch sides to fit! :) This one will go in my etsy store when I'm done. I just picked up the backing today so as soon as I decide on a quilting style I'm going to get started! A friend of mine, Jen, swapped with me for some fabric I wanted to bind the Wonderland quilt and in her package she sent these mini half-square triangles. I whipped up this little mini yesterday. It'll make a cute doll quilt when I'm done! Mmm love the lines of the wonderland quilt - really effective. The doll quilt is going to be cute too! 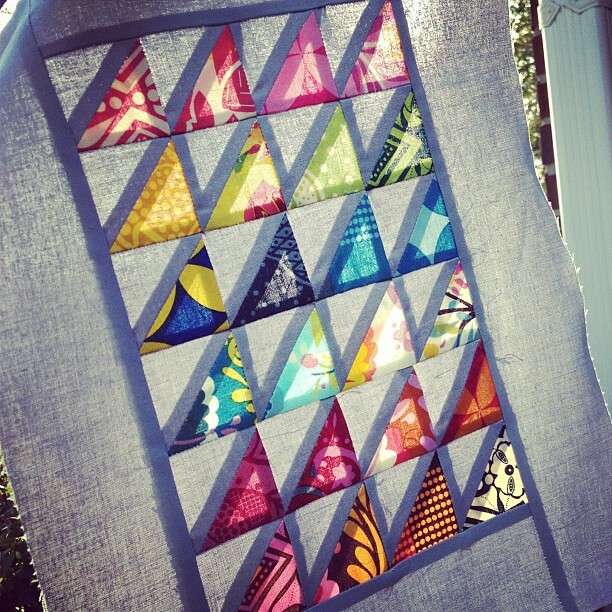 Love the finished quilt, and those teeny HSTs! 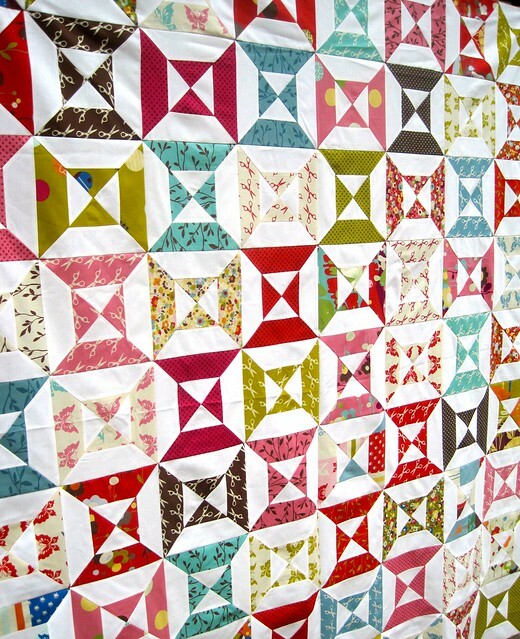 Love the quilt and your blog. Some days I wish I could let my law degree collect dust and stay home with my boy! looks beautiful. 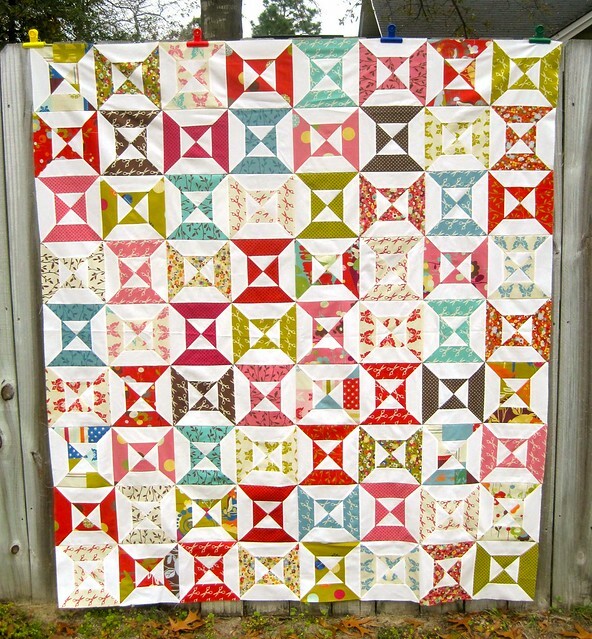 I love me a good double hourglass (and I think we make them the same way) Very cute quilt. Love the fresh bright feel, super cute. lovely! how you get so much stuff done i will never know. do you use drugs? maybe i should start?